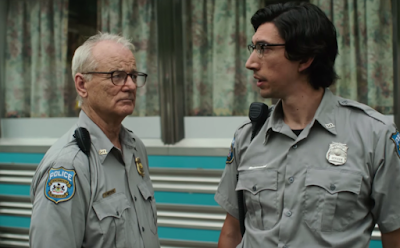 The trailer for Jim Jarmusch's anticipated zombie comedy The Dead Don't Die bills itself as having "The Greatest Zombie Cast Ever Assembled", and it may not be wrong. Jarmusch really opened up the rolodex on this one, enlisting Bill Murray, Adam Driver, Tilda Swinton, Danny Glover, RZA, Chloe Sevigny, Tom Waits, Selena Gomez, Steve Buscemi, Rosie Perez, Caleb Landry Jones, Iggy Pop, and many more. The star power is undeniable, but does the zombie genre have any juice left in it at this point? The other question is whether this becomes Jarmusch's most mainstream film...well, ever? Sure looks like it based on this footage which has Murray, Driver, and Sevigny as small-town cops who must confront the local townsfolk who have been turned into zombies. There's no hiding which of the big names are part of the undead, and I think that's part of the fun of it. Poor Carol Kane! She's a walker and still needs her chardonnay! This looks pretty great, and if anybody can find something new and fun to do with a zombie flick it's Jarmusch. The Dead Don't Die opens June 14th.